It takes approximately 24 months for Pinctada maxima, the Gold Lipped Oyster, to produce the stunning Golden South Sea pearls. 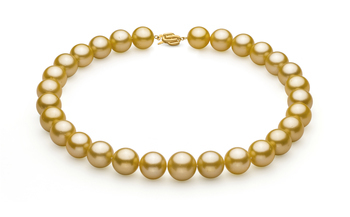 Golden South Sea pearls are rarer than gold itself, which makes them a refined luxury item. 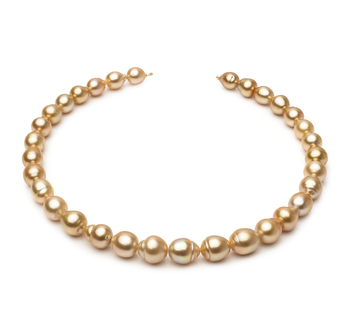 The vast majority of Golden South Sea pearls come all the way from Indonesia and Australia. 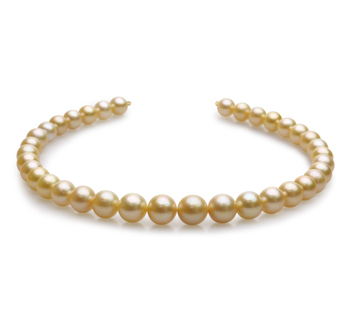 Round golden South Sea pearls are extremely rare. 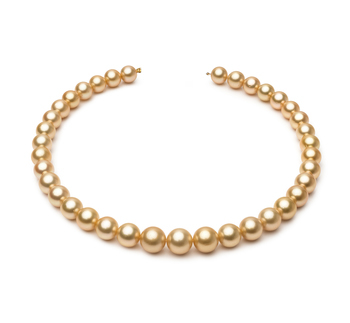 As such, a full strand of glamorous golden pearls is a high-class luxury item. The warm and rich luster of golden South Sea pearls is unpaired in the Pearl series, thus making these gems outstandingly valuable. 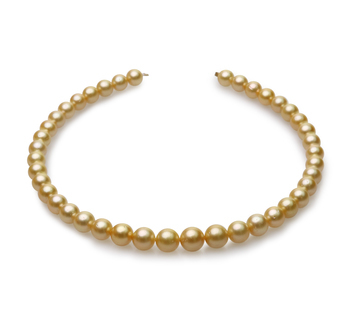 Pearls can be dyed into any color, but golden South Sea pearls have this exceptionally rich color naturally. It is the rarest pearl color in the entire series. 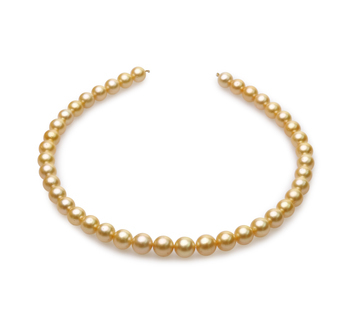 Golden South Sea pearls come in sizes up to 15mm, which also contributes to their luxury status. 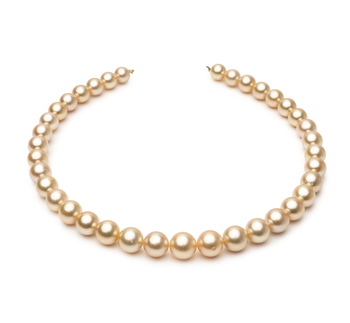 Their perfectly round shape makes these pearls the embodiment of opulence and sophistication. 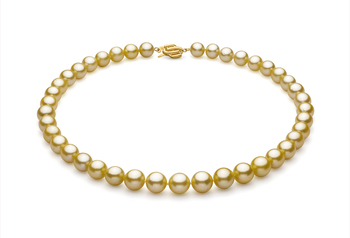 A Golden South Sea Pearl Necklace is the perfect combination between the elegance of the gemstones and the opulence of its creamy color. 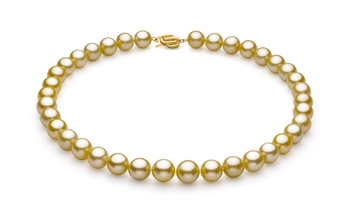 When acquiring an authentic Golden South Sea pearl necklace, buyers should pay attention to these factors. 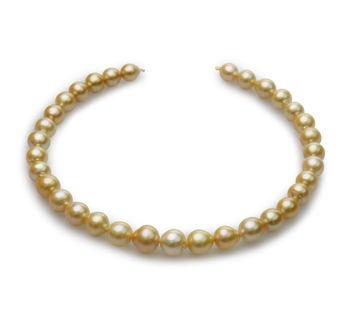 PearlsOnly jewellery items are accompanied by an Authenticity Certificate that states the pearls are real and gives details about their body shape, size, and color. Unwrapping a piece of jewellery is part of the shopping experience. To give buyers a treat and make the Golden South Sea pearl necklace ready to be gifted, PearlsOnly spends time and care on presentation. The AAA grading of Golden South Sea pearls makes them look ravishing. 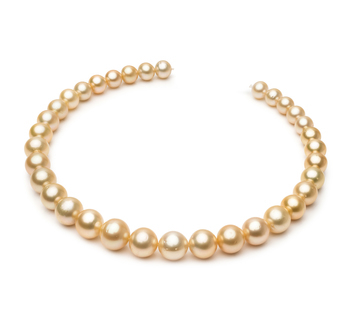 A true investment, this type of pearl necklace is the ideal accessory for special occasions. 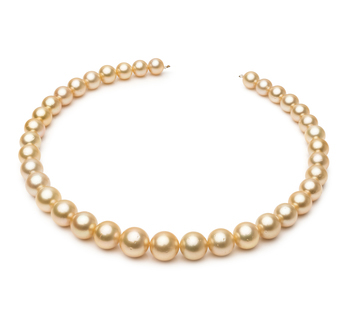 Women who choose golden South Sea pearls are not afraid to be the center of attention and know how to value their beauty. In order to choose the perfect pearl size for you, bear in mind these tips. While the size of these pearls is not impressive, their luster, shape, and nacre quality qualify them as a premium jewellery item. 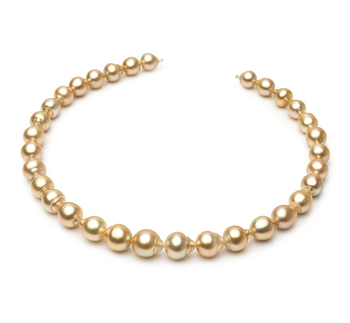 A 10-13mm Golden South Sea pearl necklace is the perfect choice for business women who attend formal meetings and need to look polished at all times. Classy and distinguished, this type of necklace was created to turn heads at refined parties. 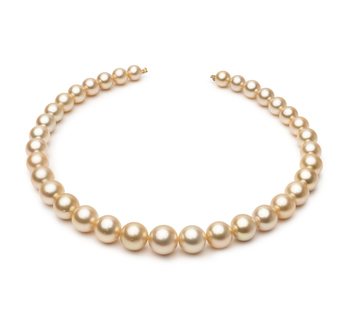 A Golden South Sea pearl necklace with large gemstones will shine with a minimalist black or white gown and high sophisticated updo. 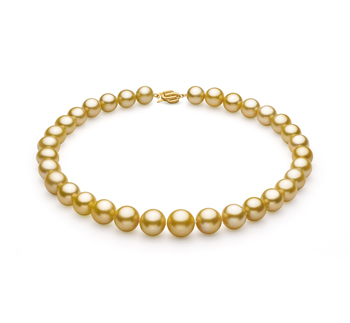 The exceptional value of Golden South Sea pearls makes them suited only for formal events and truly special occasions. 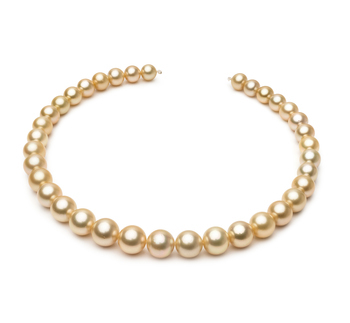 Golden South Sea pearl necklaces are ideal accessories for brides, as well as bridesmaids because their outstanding value complements the importance of the event. Golden South Sea pearls symbolize elegance, refinement, and opulence, which makes them ideal for high-class events such as these. 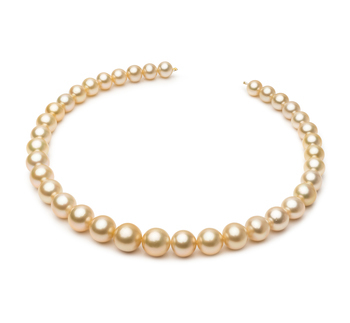 Golden South Sea pearls are perfectly suited for ceremonies because they provide the woman wearing them with a distinct touch of elegance and grace.